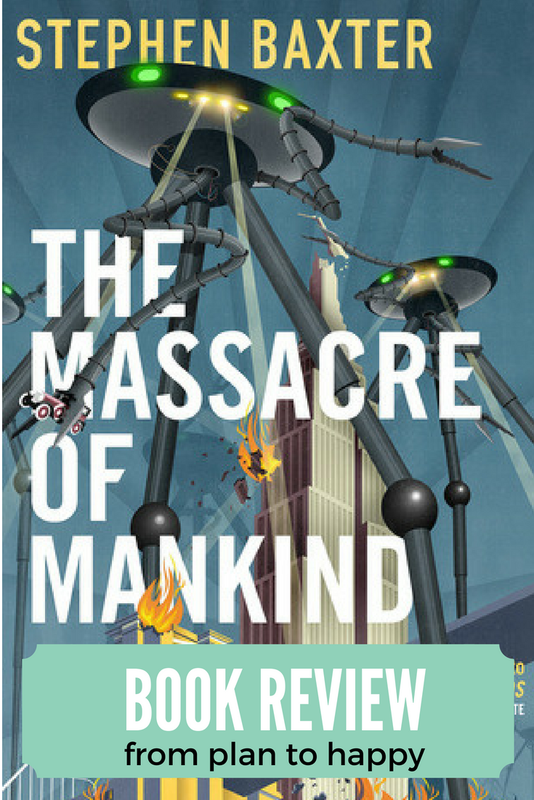 As you can tell by the title, The Massacre of Mankind by Stephen Baxter is not a feel good story. It is an estate-approved sequel to H.G. Wells' classic The War of the Worlds, telling the story of what happened after Earth repelled the martians. I'm not giving anything away that the cover doesn't tell you when I say that the Martians are back. I felt at a serious disadvantage because I am not British - so many references, place names, and turns of phrase went completely over my head. Those references felt a whole lot like filler, along with detailed descriptions of people traveling from one location to another, but so so little about the actual Martians. By around the 30 percent mark, I threw in the towel. 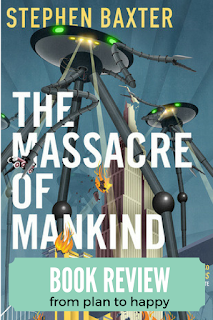 If you are a huge fan of The War of the Worlds, this would be perfect for you. It wasn't perfect for me.